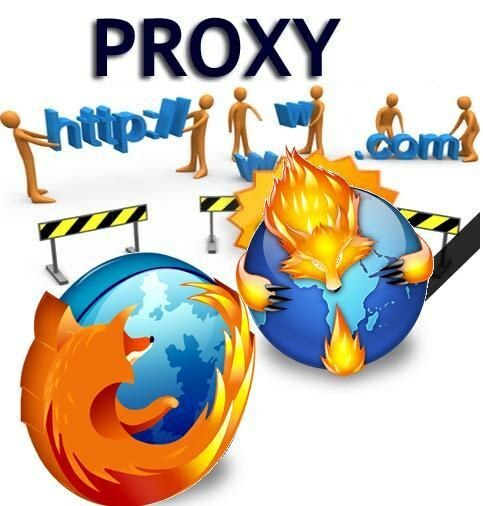 A proxy server is a special service in the various computer networks that allows customers of the network to perform indirect requests to other network service. The principle of operation of a proxy server as follows: the client connects to the service and sends a request to a resource (e.g., email) that resides on a different server. Proxy server allows you to connect to your server and get the specified resource. If necessary, the request sent by the client can be changed by proxy server with a particular purpose. Another important function performed by the proxy server protecting the client computer against network attacks, and maintaining his anonymity. If the client no longer needs such services can simply disable proxy server and to use network settings provided by his ISP. If you want to disable proxy server, you can do it yourself. To do this, perform a simple sequence of actions. If you use browser Internet Explorer 4, go to the menu "View" and choose button "Internet options". Then choose the button "Connect" in the dialog box, remove the check box "Use proxy server". If you use Internet Explorer 5 or Internet Explorer 6, go to the tools menu and there select the "Internet options". In the list that appears, select "Connection" and then "LAN settings" and uncheck the box "Use proxy server". If you use a network connection Mozilla Firefox, go to menu "Tools" and select the "Settings" button. In the list that appears, select the "global" group, and then click "connection Settings". In the opened window, select "Direct Internet connection". Users who prefer to use Opera browser 8, can produce disabling proxy server using the menu "Tools". To do this, select in the menu under "Settings" and then under "Advanced". Next click on "Network", select "Proxies" and uncheck all the check boxes. Proxyservers are used to perform indirect requests or gaining access to the Internet via a computer or a local connection. To delete a proxy server, you must disable this feature in your browser. Start Opera and go to its main menu. Select "General settings" (Preferences) and go to the "Advanced" tab (Advanced). Scroll to the item "Network" (Network) and click on the "Proxy" (Proxy Servers). Remove all the settings and uncheck, then click "Apply" and close the window. Restart your browser for these settings to take effect. Open the settings of the Internet browser Mozilla Firefox and navigate to "Basic" (General). Select "connection Settings" (Connection Settings) and open the Manual Proxy Configuration window. Delete the data about the name server and the port number of the proxy. Click OK, and then activate operation mode "No proxy". Save the settings. Go to the settings menu of the Google Chrome browser and navigate to the "Advanced" tab. Find "to Change the settings for the proxyserver" under "Network" and click on the appropriate button. Remove all the settings and uncheck use a proxyserver. Click "Apply" and close the window. Go to menu "tools" (Tools) in Internet Explorer and select "Internet options" (Internet Options). Click on the tab "Connection" (Connections) and select "configure local area network" (LAN Settings). To delete a proxy server, you must remove the check mark next to "Use proxy server" (Use a proxy server). Click "Save" and restart the browser. Disable proxy server that was configured in Netscape Navigator 4. Run the program and click "edit" (Edit) and click the tab "Settings" (Preferences). Find the menu of the proxyserver in the connections section, and then delete all the ports and servers. If you set up proxy in Konqueror, then you can remove it in settings by unchecking the relevant check boxes under the Proxies.